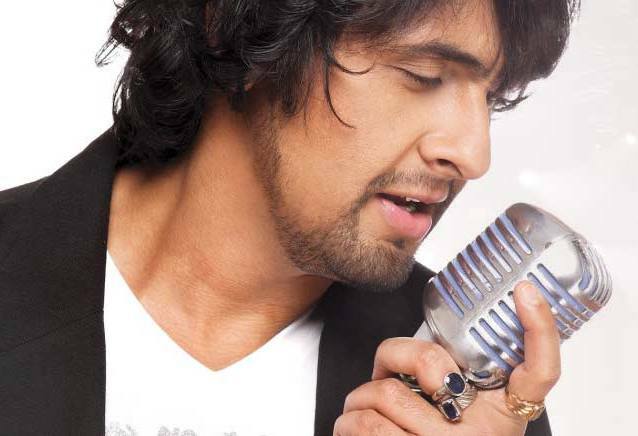 Sonu Nigam is one of the most the versatile singers that bollywood industry has produced. It was mid-1995 when he sang the classic Acha Sila Diya for Bewafa Sanam he attained fame overnight. Before this huge mid stone in his career, he was a struggling singer contributing to the songs of Mohammad Rafi for the T-Series album, Rafi Ki Yaadein. Like every other youngster he too came to chase his dream in Mumbai on 23rd September 1991. He wanted to become a big shot of bollywood. In the initial phase of his career he got diverted in different occupations in Bollywood. His voice was recognized at a ripe age of three when he was caught singing Kya Hua Tera Wada with his father on stage. He also participated in various music competitions and also acted in a couple of films as a child artist. His career hit a milestone when he was offered to host the singing reality show Sa Re Ga Ma. It proved to be a landmark in Sonu’s career. It was because of the show he got the right amount of exposure and the life changing opportunity as a playback singer in Bewafa Sanam. There was no looking back for this singer since then. Offers stared flooding and he rose as a true versatile singer in due time with songs like Sandeshe Aate Hai and Kal Ho Na Ho marking his territory in Bollywood. One can never be bored with his voice. He has a magical touch in it. Today, let us take a look at the top 10 best songs by Sonu Nigam that you can carry along with your ipod. Though this film never topped the box office or got any sort of positive reviews, this song in particular made it through. With music composed by Jatin-Lalit and lyrics by Sameer, this song could ignite the right amount of spark between Akshay and Preity, the lead roles of the film. At the time when the industry saw the influx of Pop albums, Sonu Nigam also came up with few albums of his own. Sonu also joined the group of Indi-pop singers like Jassi, Taz (Stereo Nation), and Neeraj Sridhar (Bombay Vikings). Bijoria from the album Mausam is a fast-paced ultimate dance number to groove at its beat. His voice is also suited for patriotic songs. Songs like Sandeshe Aate Hai of Border and Zindagi Maut Na Ban Jaye from Sarfarosh gave him the fame in this genre. Ab Mujhe Raat Din from Deewana was another melodious album in the early days of Indi-pop culture by the singing sensation. With this song he was marked as the modern-day Mohammad Rafi. This one song is evergreen for heart-broken lover’s collection. No one other than Sonu could bring out the true sentiments of the lyrics. The movie was a semi-hit and the songs chart-toppers. This song was another tremendous achievement in Sonu Nigam’s career. The movie was not much a hit in the box office but could go fairly well. The movie does a good job of keeping audience together till the climax. However, all the songs of the film are well-composed and this song by Sonu in particular was in the mouths of all during its release. Tanhayee from Dil Chahta Hai is probably the best of the heart-broken lovers collection from Sonu Nigam. It became one of the best songs of Aamir Khan’s career, one of the best songs of Sonu Nigam’s career, one of the best songs of Shankar Mahadevan’s career and the best songs of the decade. The film performed poorly in India but did an excellent business abroad. The music composed by A. R. Rahman was a blockbuster and is still loved by music lovers. Isqh Bina Kya Jeena is simply the best with Aishwarya’s looks to compliment it further. Suraj Hua Madham is one of the most melodious, romantic and lovely song in Bollywood. It is without a doubt one of the best picturized songs of B-town. And do not get me started on what a lovely pair Shahrukh makes with Kajol and Sonu with Alka. The title song of Kal Ho Na Ho has to be on the top of the chart without a doubt. A decade has passed since the movie, but this song still touches the hearts of million Indians.